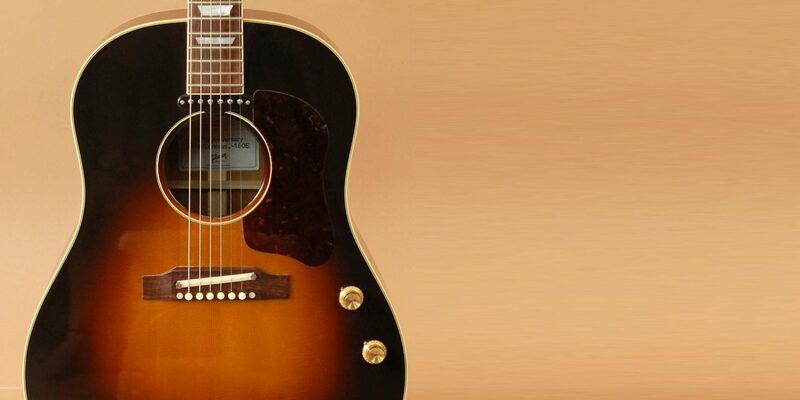 A long lost vintage Gibson J-160E that belonged to John Lennon is set to go to auction in November. Lennon used this particular acoustic-electric guitar on early Beatles recordings before it was lost in 1963. While this one left his collection early in his career, John played other Gibson J-160Es during many iconic performances in his time with the Beatles. This original J-160E was the basis of a limited edition Gibson reissue in 2010 along with two other examples that Lennon owned. Per the BBC report on the auction, "The Gibson J-160-E acoustic guitar has been declared genuine by Beatles' instruments expert Andy Babiuk, who compared it to photographs and film footage of Lennon playing it." Note: Pictured guitar is one of the 2010 reissues, not the original.